The Boring Company held an information session today, during which its founder, Elon Musk, announced the company's plans to build a full-scale transport system for Los Angeles. The Boring Company has set itself the goal of solving the problem of " boring " and life threatening traffic jams. For this purpose, they plan to build an underground, multi-level network of tunnels, inside which vehicles and people will move on specially designed, electric "sledges". These "sledges" are to reach the speed of 240 km/h and change autonomously the subsequent levels of tunnels, so that the passenger arrives to his destination as soon as possible. The tunnels can also be used to create the Hyperloop underground system. The advantage of this solution is that it may be cheaper than the traditional ground equivalent. The session was conducted in the form of Q&A One of the most surprising things we learned about is the fact that the "Loop" ride is supposed to cost only $1. The company has several ideas on how to make the construction and use of cheap tunnels possible. The Los Angeles tunnel system will have multiple levels and lanes, making it look like an underground highway. A highway that will allow only electric and autonomous The Boring Company vehicles to be transported. All the tunnels are to be connected and form a huge loop, which the company calls literally "Loop". Elon Musk also presented the differences between the traditional subway and The Boring Company tunnels. Firstly, the TBC transport system will have a much higher number of stops. In this way, the company will be able to offer transport much closer to its final destination without having to stop and transfer at intermediate stations. So how does the company want to make tunnelling cheaper? To achieve this, they plan to vertically integrate the entire tunnel construction process. The Boring Company is already producing its own concrete on site, which is required for the construction of the reinforced walls of the continuously drilled tunnel. 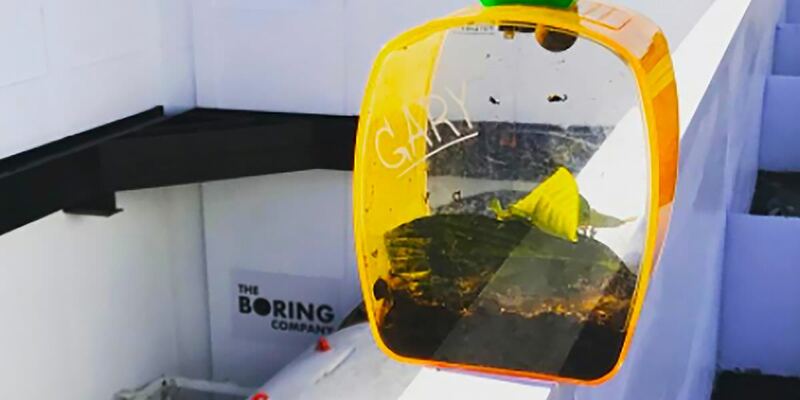 The locomotive used to pull out rocks and dirt is equipped with two Tesla Model 3 electric motors, and not so long ago it was announced that Tesla is going to sell electric motors and batteries worth $400,000 to The Boring Company. We have already got used to the fact that Elona Muska companies can earn money for literally everything. Thus, the earth extracted by the boring machinery is used to produce bricks, which are supposed to be cheaper than the other bricks on the market and available to everyone. The money earned in this way will help finance the Loop project not only in Los Angeles but also in other cities. The price of a single brick will be about 10 cents. The company estimates that the cost of disposing of the excavated soil can be as high as 15% of the total cost of the tunnel. 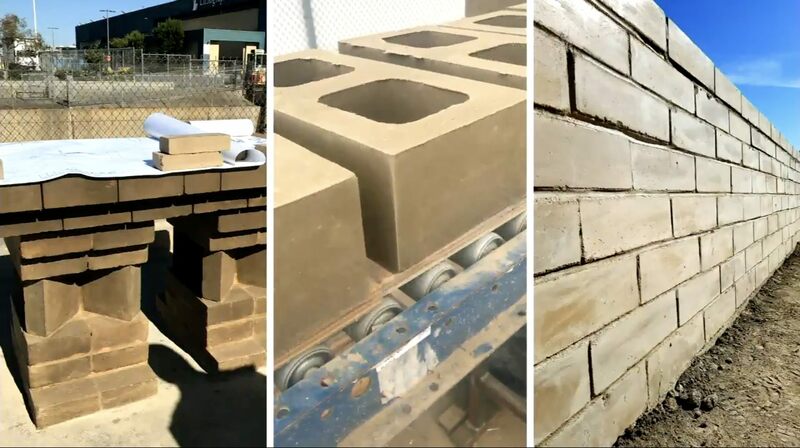 Using it to produce bricks significantly reduces construction costs. Another important aspect that the company reported some time ago is the increase in drilling speed. The TBC mascot, the "Gary" snail, moves at a speed of 0.048 km/h. This is the speed that the drilling machines of the company will be able to achieve in the future by increasing their power. Interestingly, they will also be powered and powered by Tesla products. The company is working on a second tunnelling machine, which will be a hybrid of traditional solutions with a new generation of machines from The Boring Company. The construction of the third machine is also in progress. As Musk adds, most of the engineering challenges facing the company are quite simple. It's no surprise that the development of the system goes smoothly as SpaceX's rocket engineers are involved in the project. 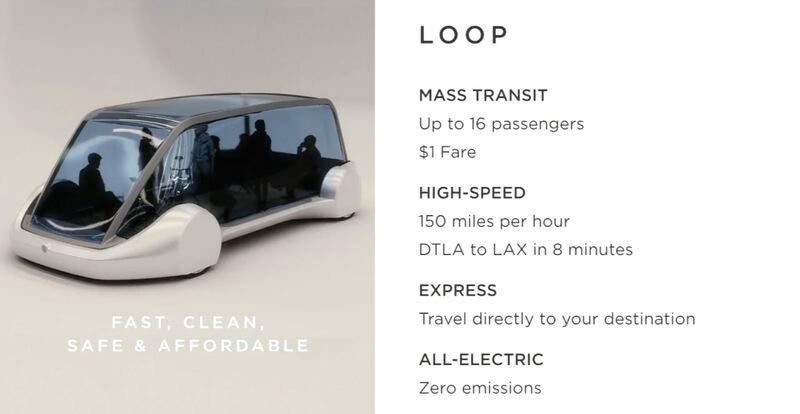 The combination of the space industry, Tesla's solutions and Musk's money suggests that "Loop" will be created much earlier than it might seem. The Los Angeles Tunnel is just one of many projects The Boring Company is working on. The company has recently received a substantial injection of $112.5 million from Elon Musk, so it can easily afford to do so. Design for transport systems in Chicago and on the US east coast in the Washington and New York regions is currently under development. We also learned that the construction of the Hyperloop underground system between Los Angeles and San Francisco could start next year. Prior to the information session, the company announced its cooperation with LA Metro, the public transport management agency in Los Angeles. The companies will work together to build a new line for The Boring Company, the concept of which was announced last month.